Home / asia tour / contest / extreme / KL Live / live in malaysia / music / news / Win tickets to watch Extreme live in Kuala Lumpur this June! Win tickets to watch Extreme live in Kuala Lumpur this June! 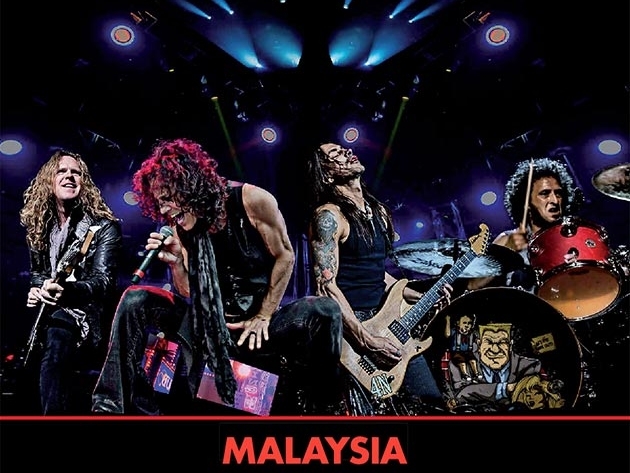 Here’s your chance to rock out with American rock legend Extreme in Malaysia this June! Extreme will be performing in Malaysia this 10 June as part of their 2018 Asia Tour and we are giving away 3 pairs of Standard Extreme Concert Tickets to 3 lucky readers to catch them live in Kuala Lumpur! To participate in the contest, all you have to do is to head on over to our Facebook page HERE, and tell us what your favourite Extreme song is and why (in 30 words or less), below the ‘Win tickets to Extreme Asia Tour in Kuala Lumpur!’ post from now until 31 May 2018. Find out more info on the concert right here . 1) Contest closing date is on 31 May 2018 (Thursday) at 11.59pm. Entries sent after will not be considered. 2) Notification of winners will be published on TheHive.Asia Facebook on 4 June 2018 (Monday). 3) Only one entry per person is allowed and multiple entries will result in an entrant being disqualified. 4) Judge’s decision is final. No correspondence on winner selection will be entertained. 5) Ticket redemption for the winners to be done on the concert day itself (10 June 2018) at the IMC LIVE Group counter at KL Live from 6pm onwards. 6) Prizes are not exchangeable for cash. 7) TheHive.Asia reserves the right to revise the Terms and Conditions without prior notice. I will try to win this ticket!